Baby Love are a lively Vocal Trio based in the Midlands. Enjoy Songs by The Supremes, The Four Tops and Martha & The Vandellas to name a few that all feature in this high energy, high impact show. Baby Love consists of three young female artists from the West Midlands: Natalie Naylor, Kirsty james and Kirsty Somers. Baby Love are a sure success for any party or function, any time of the year. You won’t want to miss a night filled with the absolute best of Motown hits so what are you waiting for! “Get ready” to party “All Night Long”! Meat Loaf by Craig Halford returns! Due to popular demand this larger than life act will return for our Post-Halloween party on Friday October 25th 2019. Fancy dress is of course optional! Craig has been performing in and around the Midlands for over 20 years, first of all in a father son duo called Lydon Craig Sounds and more recently with his explosive ” Back out of Hell” Meat Loaf tribute show. Craig’s power and voice range along with his on stage rapport with audiences are second to none. His show brings to life excitement, adrenaline and humour that has been enjoyed by millions of Meat Loaf fans all over the world for the last 30 years. 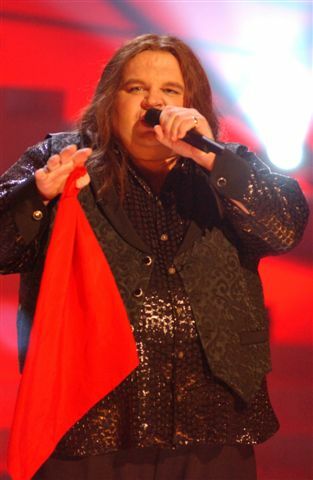 After performing on ITV1’s Stars in Their Eyes in 2005 encouraged Craig to put together his own Meat Loaf tribute band called Meatloaf & The Never Neverland Express and has taken his totally live eight piece band all over the UK touring theatres and many Rock festivals including headlining at the BMF show and Tribfest. From the opening number to the end of the show you will be either pinned back in your seat in amazement or up on your feet chanting out to the classics from the album Bat out of Hell at the top of your voice. With sound systems to suit audiences from 100 to 10,000 and state of the are lighting, you will almost believe that you are actually at a Meat Loaf concert. Tickets £21.99 per person Including your AGA Carvery meal.